Discounts are an essential strategy of every WooCommerce store owner to increase sales and conversions. If you are managing an eCommerce store, you may want to offer discounts to customers at some point of time. When you have a large number of products and customers, offering discounts to customers is not always easy. Thankfully, you will find a range of plugins that will help you set up varied discounts on your WooCommerce store. In this article, we will discuss some of the popular free WooCommerce dynamic pricing and discounts plugins. This is one of the most popular option among free WooCommerce dynamic pricing and discounts plugins. It provides you an option to set discounts at product level or category level. 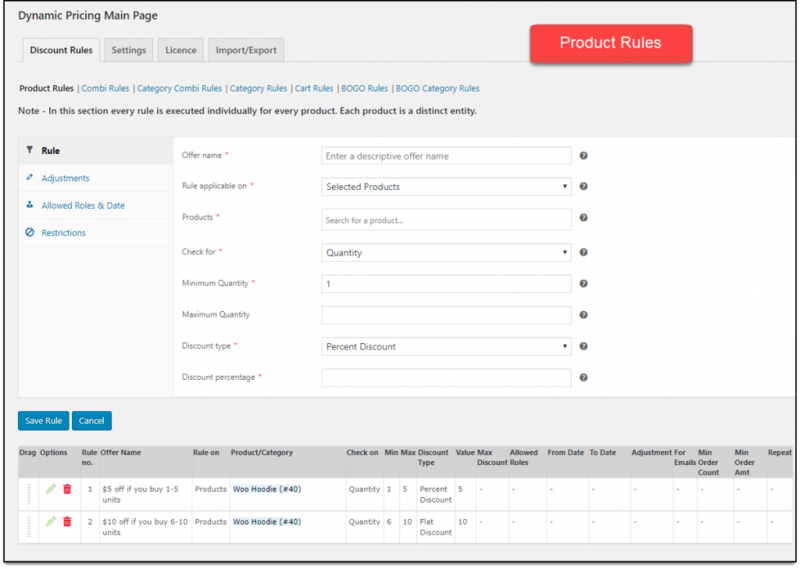 Moreover, you will be able to create discount rules based on different aspects such as weight, number of items added to cart, etc. The plugin provides an option to set a maximum discount for each discount rule, so that the discount won’t exceed beyond expectations. The plugin helps you set up flat rate or percentage discounts at product or category levels on your WooCommerce store. Furthermore, the plugin displays a pricing table on the product page, so that your customers will know about all the available discounts with that product. You can also schedule a discount on your store by specifying the start and end date of a discount. 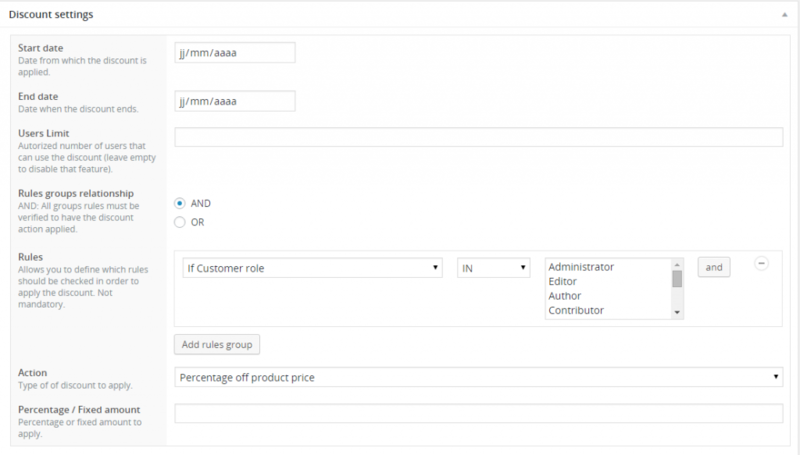 Moreover, discount rules can be configured based on user roles as well. This way, you can offer certain discounts only to certain groups of customers on your site, like loyal customers. The plugin supports French and German languages out of the box and also is compatible to WPML. You can download the free version of the plugin from the ELEX website. 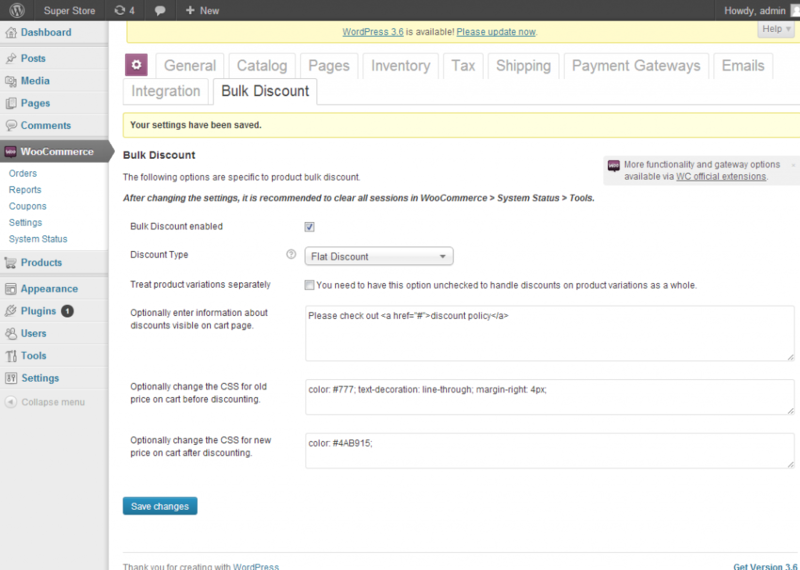 WooCommerce offers an option for creating discount coupons by default. However, customers will have to apply these coupons during checkout. If some of them don’t have your coupons, they might abandon cart and go searching for coupon codes. This can be avoided, if you set up your store to automatically apply coupons. Once you install this plugin, discounts will be automatically applied on a cart when your coupon conditions are met. This can provide a positive boost to your store’s conversion rate. 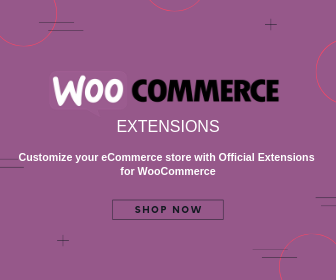 The default coupon features of a WooCommerce store can be extended using this plugin. While using this plugin, you can restrict coupon usage based on shipping method, payment gateway, product combinations or user roles. 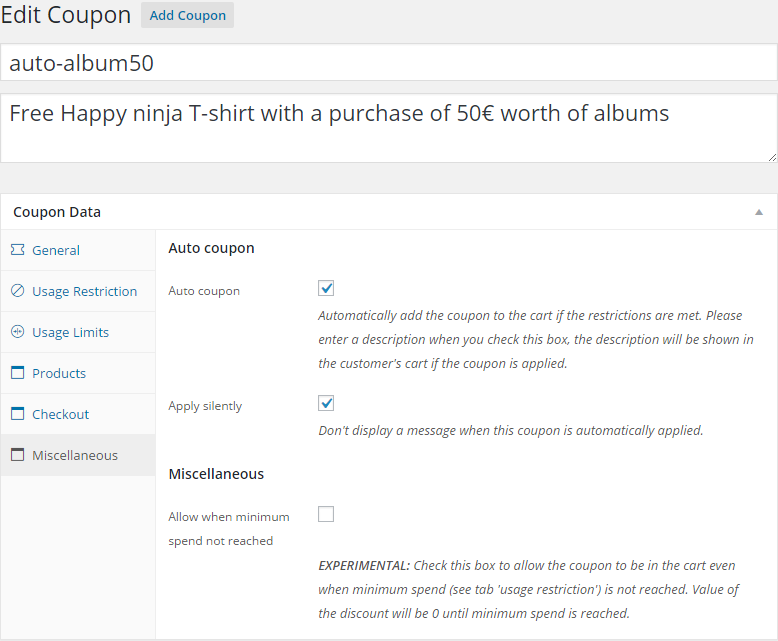 To activate the feature for applying coupons automatically, you can simply enable the auto-coupon checkbox. The plugin will apply the discount automatically as well as display a message informing the user about the discount. 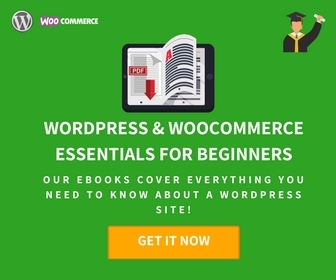 If you are looking for free WooCommerce dynamic pricing and discounts plugins, this one should be in your consideration. With the help of this plugin, you can set up discounts based on a lot of parameters. According to your requirements, you can set up discounts on products, variations, attributes, categories, etc. You can also set up buy one get one offers using this plugin. Moreover, the plugin helps you display the available discounts on cart and checkout pages as well as on shop and product pages. You can even include the available discounts in email notifications that you send out. This plugin helps to create percentage discounts and BOGO offers on your WooCommerce store. This is another popular choice among free WooCommerce dynamic pricing and discounts plugin. It helps you create varied discount deals on your store and helps you to market them as well. The plugin helps you set up varied discount options such as category pricing, bulk discount rules, catalog pricing for wholesale store, and BOGO rules. You can set up percentage discounts or fixed price discounts with this plugin along with package pricing. The plugin helps you set up bulk discounts and BOGO offers easily on your store. Furthermore, the plugin provides an option to display pricing rules using shortcodes. And you will have the choice to display the display the product price including the discount, or by showing a separate coupon. Offering discounts based on user roles can be a good way to personalize customer engagement on a store. It you are creating discounts or price adjustments to certain specific customer groups like loyal customers, it can improve customer experience. You can use the ELEX role-based pricing plugins extensively for this purpose. With the help of this plugin, you can add price adjustments to each individual product based on different user roles on your store. Moreover, the plugin helps you create additional user roles on your site to use along with the default user roles of WordPress. The plugin also helps to set up individual product pricing on your store, and also to disable purchase capability for select customers. If yours is a wholesale store, you can allow only registered customers to purchase from your. While unregistered guest users can be redirected to a custom page or form to register or contact you. The plugin also helps in assigning tax class and tax display options on your WooCommerce store. Please note, the free version of the plugin works only with simple products, while the premium version works with all product types. This is another plugin that can help you create a pricing pattern that will be dependent on the user roles. In addition, to helping you set up role-based pricing, the plugin also helps to create and manage user roles on your store. The plugin supports all product types including grouped and variable products. The plugin offers a simple and intuitive user interface, and is quite flexible for customization as well. It also offers an integration with Aelia multi currency plugin to offers prices in different currencies. This plugin helps you create new user roles and set up product prices based on that. Bulk discounts are a great strategy you can try on your WooCommerce store to increase average order value. Using this plugin, you can create bulk discounts for individual products as well as for all your products globally. It is possible to set up flat rate, fixed rate or percentage value discounts using this plugin. The plugin supports variable products and variations as well. Also, it displays the discounts on several locations such as checkout page, order details page, order emails and even on invoices. You can also opt to use a coupon to apply bulk discounts if it suits your store strategy. You can set up bulk discount options for your products using this popular option among free WooCommerce dynamic pricing and discounts plugin. You can set up a range of discounts rules based on different strategies using this plugin. It supports percentage discounts, flat rate discounts, bulk discounts and even user role based prices. 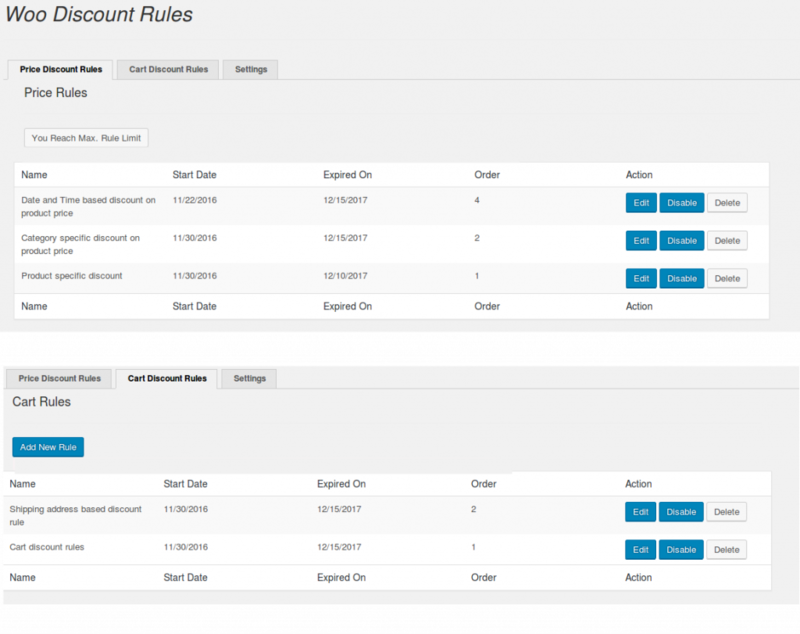 The Bulk table customizer makes it extremely useful to create bulk discount rules using this plugin. You can set up category level discounts using this plugin and provide free shipping offers to specific products or categories. The pricing rule that you set up can filter products, tags, categories or custom fields. One of the popular options for free WooCommerce dynamic pricing and discounts plugins, it offers a lot of flexibility and control to your discount strategies. As with most other plugins we have discussed, you can set up discounts globally for all products, or specifically for individual products. Furthermore, the plugin allows to selectively display a sale badge and pricing table on the product pages. Overall, it offers a lot of flexibility in setting up discounts the way you want them on your store. Setting up dynamic pricing rules on your WooCommerce store is all about hitting the balance between product popularity and customer expectation. If you analyze your customer expectations as well as the performance graph of each of your products, you can easily create effective strategies. 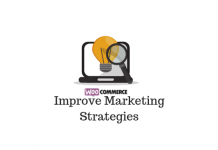 Executing these strategies won’t be a problem if you have a plugin like WooCommerce All Discounts with you. 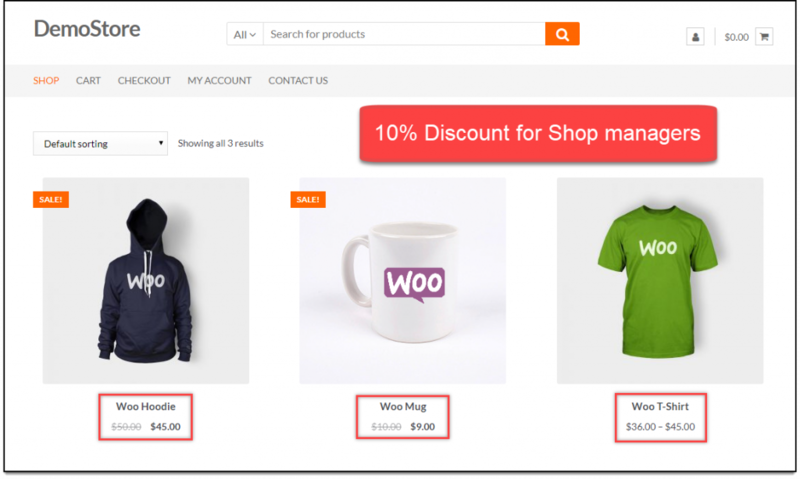 WooCommerce All Discounts offers a comprehensive option to set up varied discounts on your WooCommerce store. The plugin lets you create discounts across products on your store as per your specific requirement. You can specify a percentage value or fixed amount discounts at product level. 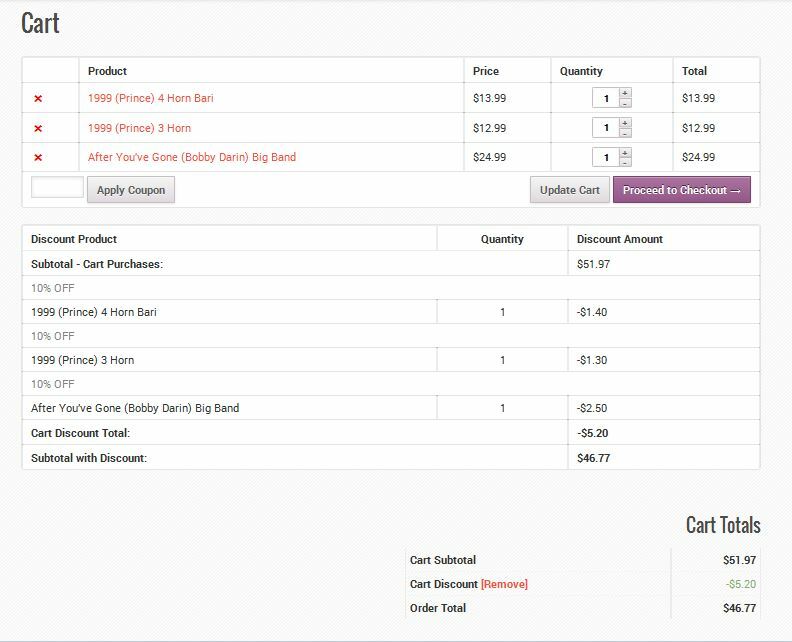 It also offers options to set up bulk discount rules based on the quantity of items in a specific cart. You can also configure buy one get one offers or offer gift items along with certain products. Sometimes, based on the stock levels, you can set up buy one get one offers for specific products, which can be more useful for your store compared to discounts. The plugin gives you a lot of flexibility as you can set up discounts based on user roles, car quantity, categories, tags or even meta values. 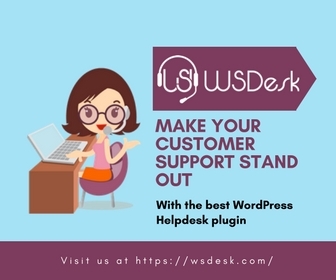 You can try out this plugin too if you are looking for some of the varied free WooCommerce dynamic pricing and discounts plugins. This one too lets you create discounts based on cart quantity or by simply picking a product. The plugin helps you create numerous discount rules according to your store strategy. This would offer you flexibility to experiment with multiple discount tactics, and filter out the most engaging and profitable one. You can apply discounts to individual products or collectively to a specific category. This plugin is another option for you among free WooCommerce dynamic pricing and discounts plugins, which will help you set up discount rules effortlessly on your online store. 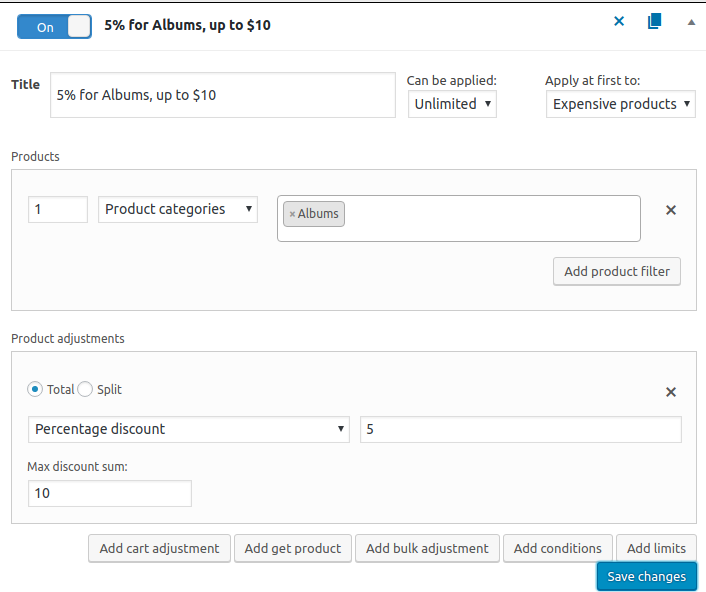 The plugin automatically applies the discount when a cart meets the specified discount rules. There is no chances for cart abandonment here because customers leave your site in search of other discount options. In addition, this plugin helps you set up a maximum discount threshold. This will help ensure that the discount amount will never exceed the estimated value. You might be offering several payment options on your store. Sometimes you may want to encourage customers to use a certain payment gateway option. Similarly, some stores would want to use a particular payment option less frequently. If you are able to set up discounts or charges based on the customer’s choice of payment gateway, you can control this. This plugin lets you add a fee or discount to the available payment methods on your WooCommerce store. When you install this plugin, you will find extensive options on each of your available payment gateways to configure discounts. You can even specify a cost range to be able to make the discounts or charges applicable to a payment method. The plugin also allows you to make the fee taxable, and allows you to choose a tax class as well. Now, you might be setting up a lot of discount rules on your WooCommerce store. However, it won’t be very effective unless you make sure customers know about it. So, along with plugins that helps you configure discounts, you should also find ones that help you display them attractively. Finale, is a great plugin that will help you create a sense of urgency in the minds of your customers so that they will opt for a purchase pretty quickly. You can effectively market discount offers on your store with the help of this plugin. Think of some of the popular sales campaigns and most probably you will be able to configure them using this plugin. You can set up early bird deals, recurring deals, or pre-launch deals using this plugin. Moreover, you can create flash sales, seasonal promotional campaigns and a lot more with this one. Countdown timer for sales and visualization of stock status would be the obvious tactics you would be using with this plugin. In addition, yo u can customize several campaigns with it like happy hours, weekly deals. You should carefully analyze your products and customer interactions with them before setting up discounts on your store. Hope the free WooCommerce dynamic pricing and discounts plugins mentioned in this article will help you promote your product better. Leave us a comment to share your thoughts. How to devise the best marketing strategy?